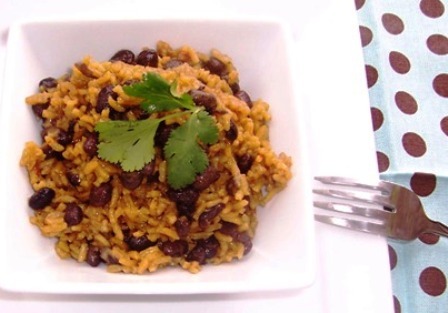 Arroz con Frijoles Negros is a complete one pot meal and all it requires is rice and beans which are two of the most popular ingredients used in Colombia. For a vegetarian version, exclude the beef bouillon and use vegetable instead. Drain the beans and put in a large pot. Cover with water and bring t a boil over high heat, Reduce the heat to medium low, cover and cook for about 45 to 50 minutes, or until tender, drain reserving the cooking liquid. In a medium pot, add the hogao and rice, sauté for 2 minutes and stir until well coated. Add the cooked beans, 2 cups of the cooking liquid and 2 cups of water. Add beef bouillon, oregano, salt, pepper and tomato paste, bring to a boil, then reduce the heat to low, cover and cook for 20 to 25 minutes. 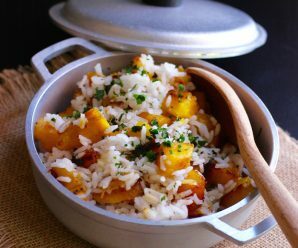 Remove the rice from the heat, let it sit covered for 5 minutes and serve. Leti- Hogao is a tomato and onion sauce. You can find the recipe in my recipe index. I just made this for dinner, tonight. It was delicious! 🙂 I love Colombian food, and I love your blog. I look forward to making more of your recipes. I just finished making and eating this, and my son and I loved it! It smelled wonderful as it was simmering and was very flavorful. Not to mention, it was a very inexpensive meal. I halved the recipe because I only had 1 cup of beans. Amazing! We all really enjoyed this, but I found it made a solid 8 servings as a main dish. 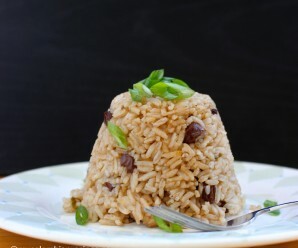 I just tried your arroz con frijoles negros, because I’ve always loved the Goya boxed version, and wanted to add to my repertoire. I had to substitute canned tomato sauce for the fresh tomatoes, white onions for the scallions, and red kidney beans for the black beans, and it *still* it came out wonderfully. It’s a great alternative to takeout – so easy and filling. My next move is to experiment with freezing your delightful hogao in zip-locs or ice cube trays for Cuban gourmet in a flash ;). Masha Allah, this is a keeper. 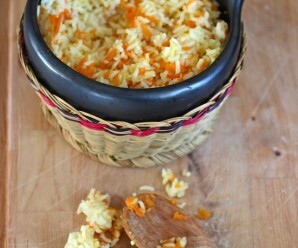 Thank you ever so much for this clear and simple recipe! I wonder if I can modify these recipes for pressure cooking? This is amazing. Thanks so much! 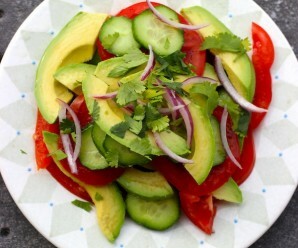 I added some avocado and I’m thinking about how to serve some of this with huevos, in the morning.